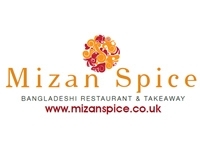 Huge range of printing services at Great prices! 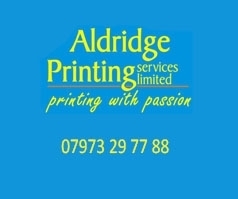 Aldridge Print Walsall Bussiness cards, flyers, leaflets, posters, letter heads, photocoping. 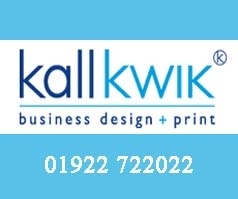 Whatever your design, printing or e-communications requirements – no matter how large or small – Kall Kwik Walsall is the friendly, local team that offers the widest range of services on your doorstep. 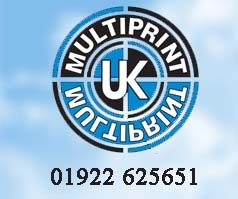 Multiprint UK have specialised in providing embroidery, garment printing and printing services to the general public, corporate, public sector, armed forces, schools, charities and sports clubs for over 25 years. 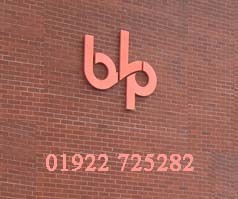 The Brian Lowndes Print Group of companies based in Walsall, West Midlands and we have serviced local industries and residents for over 40 years. We are predominantly sheet-fed offset litho with press sizes up to SRA2. We cover the complete spectrum of printing jobs, from simple business cards and stationery starter packs through to full colour brochures. 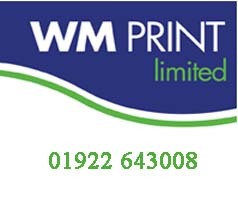 We're a friendly, family-run, printing business, established in the West Midlands 40 years ago, where the emphasis is very much on responding to customers' needs and being as flexible as possible - regardless of deadlines involved! 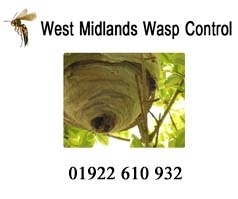 The range of jobs we undertake is extraordinary.